The Office of the Provost and Vice President for Academic Affairs provides administrative oversight for the schools, colleges, online learning, and academic support resources of Norfolk State University. The Provost's network of academic programs includes the College of Liberal Arts; the College of Science, Engineering, and Technology; the School of Business; School of Education; the Ethelyn R. Strong School of Social Work; the Robert C. Nusbaum Honors College; and the School of Graduate Studies and Research. The University offers thirty bachelor's programs, one associate degree program, fifteen master's degree programs, and three doctoral degree programs. 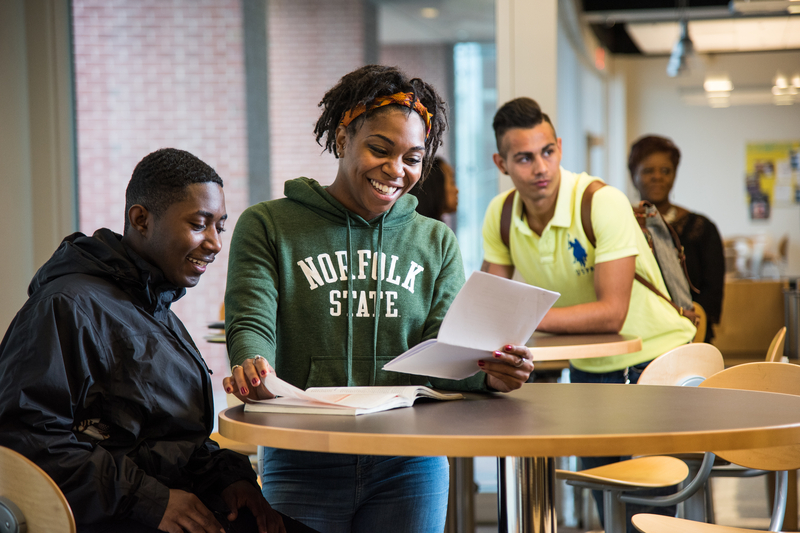 Norfolk State University, a comprehensive urban public institution, is committed to transforming students’ lives through exemplary teaching, research and service. Offering a supportive academic and culturally diverse environment for all, the University empowers its students to turn their aspirations into reality and achieve their full potential as well rounded, resourceful citizens and leaders for the 21st century. Norfolk State University will be recognized nationally as a premier public institution with outstanding signature academic programs, innovative research, and community engagement opportunities. Norfolk State University's strength lies in its core values. They form the foundation for the University's actions and reflect what is important to the members of the Norfolk State University community and the Hampton Roads region. Excellence – We are dedicated to fostering a culture of excellence in all facets of the University through the highest educational standards for student achievement, stellar faculty teaching, innovative research, dedicated service and creative co-curricular activities. Student-Centered – Students are our top priority, and we are committed to helping them become globally competitive in an enriching, stimulating and supportive environment. Diversity & Inclusiveness – We foster a multicultural campus respecting all people, cultures, ideas, beliefs, identities, socio economic backgrounds, and perspectives. We train our students to become leaders in an ever-changing global and multicultural society. Integrity and Civility – We expect everyone to be accountable for his or her actions and to engage in honest, ethical behavior. We value the contributions of each person, treating all with respect and civility, and affirm our shared responsibility for institutional success. Engagement – We continually enhance the university’s role and influence in affairs of local and global communities by promoting educational attainment, cultural enrichment, and economic development. Pride – We display great admiration for the University and its rich history and legacy. Financial Empowerment – We aggressively pursue expanded and more diversified revenue streams. Continuing Norfolk State University’s tradition of service, the Office of the Provost promotes and encourages community involvement, providing a variety of programs and opportunities in which the students, faculty, and staff may demonstrate an altruistic spirit. The title of Professor Emeritus is considered to be the highest honor the academic community can bestow upon one of its members in recognition to those distinguished individuals of the academic community at Norfolk State University who, in addition to rendering long and faithful service to the University, have unselfishly made outstanding contributions above and beyond those expected of all conscientious employees.